Hey, is that a homeless vagrant that snuck into town meeting in the back corner? Oh no, it's the new "Mountain Man Bobo." Joke if you want but John Decas was the only resident in this town who spoke to the right to photograph Town Meeting. Bill, you get any more?? 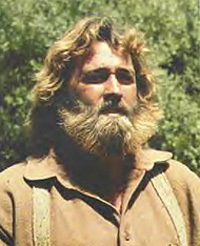 Ham..maybe we should all "do" the Grizzly Adams thing..Who knows, maybe he's gonna pan for gold later? Sorry Bill. Only meant to joke about Beard Boy, but you're right, the right to photograph is no joking matter. It's a public building. It's a public forum. People have the right to record the meeting. Hell, there's a photo of town meeting in Wareham Week. The meeting gets transmitted to televisions on video. People have the right to take pictures. I heard Sweet Brucey was the biggest whiner about this. Probably didn't like his middle finger being on display, but at least it showed his true attitude towards the masses. I think a few years ago Curly tried to make it so Town Meetings wouldn't be broadcast at all...and Sweet Brucey (of all people) spoke out against it. Honestly, I feel in the end that it's at The Moderator's discretion. I think Mrs. Smith handled it as best she could (Sorry Bill, I'm guessing we disagree on this). Perhaps a "designated photographers" section should be created. I know when I videotaped the CRC meeting. The law stated that the "recording device" be placed in a designated location, agreed upon by the Chair. If the press are allowed to take photos, then I believe the citizens should be allowed to as well. All I know is it is nice that Bobo is trying to bring an important world event to the forefront by coming to town meeting looking like he just got out of a Chilean mine. Poor Andrea, Bill got her bloomers in an uproar..guess its ok to be in the public eye when youre fighting the Crossing or writing columns for the Rag..all this was was a personal attack on Bill Whitehouse..
Why didn't Sweet Brucey and Andrea identify themselves as writers for Ragserver Multi-Mega Media? It seems unfair that representatives of one media outlet were able to shut down a photographer of a rival media outlet under the guise of being offended citizens. I am sure that the Moderator would provide a fixed point from which Bill can shoot photos. I think the wandering while shooting bothers some people. Shooting from a stationery position that covers the entire proceedings could probably resolve the issue. I am sending this to a few folks and friends to let them know the facts behind that moment when the Moderator put me out of order at last night's TM meeting. She was correct to admonish me because I got to loud. Here is what happened. When drama queen Andrea Smith of the Wareham Observer went into her loud and improper tirade about Bill Whitehouse taking her picture the TM began to get very disorderly. She was screeching, improperly, for voters to stand and protest and while the Moderator was trying to consider her complaint and at the same time keep order. While this was going on a man sitting directly behind me who is a teller/vote counter and is under oath to conduct his responsibilities in accordance to the TM rules began to loudly join in with others who were clearly out of order by standing and yelling.. The drama queen could have voiced her protest in a proper and orderly way but chose to take the low road because she and others can't leave their political feuds outside of the meeting. They also love to make it difficult for the moderator because she defeated the previous moderator who was and still is the faired haired boy of the Slager/Sauvageau crowd. He is also the worst Moderator in the history of the town. I've seen them all since 1950. I turned to the teller/vote counter behind me and asked him to "tone it down". I got a rude and disrespectful response. I then told him that he was not allowing me to hear the TM speakers. I got the same response. I then told him to "just shut up" and he said the same to me. The moderator heard me and rightly put me out of order. I have since apologized to her. Later the teller/vote counter admitted his role in our dust up in the presence of a Selectman and offered an apology. I told him that he violated my rights and did not act responsibly as a sworn teller/vote counter. I also told him that I intended to file a protest with the Moderator. I will leave it for her to take whatever appropriate action she sees fit. Once this is done I will then be willing to accept the apology offered if he still wants. I have always had a cordial relationship with this man. Our Town moderator has a difficult job at best in a town that is politically polarized. All of us, including myself, have the responsibility to abide by her rules that are intended for an orderly meeting and an effective democratic process. Whatever fault some can find with her style it is clear that she is making every effort to be fair and impartial. That's a big difference from her predecessor who sits in the audience and tries to correct her rulings. To bad he couldn't walk the walk when he had the chance. I wonder if he knows how pathetic he looks when advising the Moderator about TM protocol. Please share this message with anyone you know who attended last night's meeting. Thanks. "drama queen Andrea Smith of the Wareham Observer went into her loud and improper tirade about Bill Whitehouse taking her picture the TM began to get very disorderly. She was screeching, improperly, for voters to stand and protest"
Whoa, Nelly. Since when did ANYONE. let alone a charter member of the TFHC, have the right to manipulate voters at a TM ?????? As I recall, when previous TM's got a bit noisy, it was the fault of that group/crew/gang/rabble, identified as TBW. So. a bit of muttering is close to the end of the world as we know it. BUT, standing and whipping some of the TM members into a frenzy is OK.
No double-standard there, now is there? The tin hats lost the moderator election. They don't like to lose. Now it is plain as day that they are trying to bully and berate the moderator for beating Curly. That's why we need more good people to attend town meeting and stand up against this tin hat stupidity. GET OUT TO VOTE TONIGHT!!! On my way out the door, loaded for bear tonight but wanted to assure y'all I got images of the Select Board's computer audit report. As universally expected, there was nothing of consequence to report. Tores said the only website scanned for compliance at the Police Dept was WAREHAMOBSERVER.COM. He did say they found "a good handful" of inappropriate or indecent images.